The sectional Intelli-Pole® composite utility pole is a triumph of design excellence that solves your toughest application challenges while reducing installation costs and providing lower life-cycle costs compared to conventional poles. With the industry’s only true slip-fit joints, our design fulfills the promise of lightweight, interchangeable sections that assemble safely and quickly in the field by hand with no special tools or process needed. 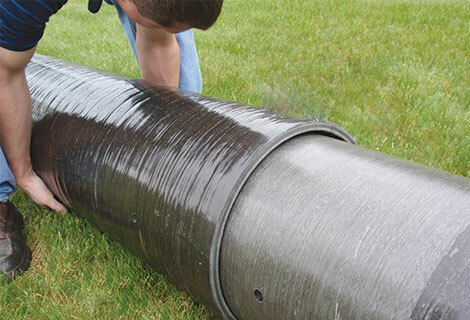 No other utility distribution pole — composite or conventional material — even comes close. Short segments — under 13 ft. (4 m) in length — make the Intelli-Pole® composite utility pole easy to handle, providing flexibility at sites with limited room for installation equipment. Sections are rapid to assemble with true slip-fit joints that slide together by hand and secure with a standard double-arming (DA) bolt. The Intelli-Pole® is designed to be just that simple, with tapered segments that nest inside one another for efficient transportation and storage, reducing your costs. Sections are interchangeable to allow replacement of a damaged segment only. 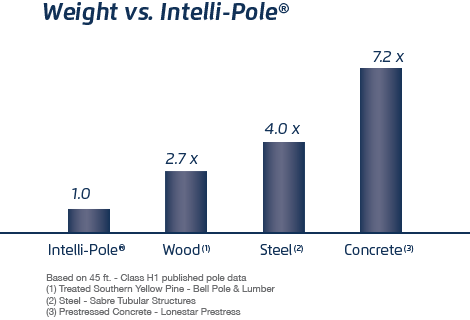 No individual segment of the Intelli-Pole® composite utility pole weighs more than 285 lbs. (130 kg), allowing for hand-carry into limited-access sites and assembly by hand. The Intelli-Pole® can even be assembled vertically in-place using only manpower with our Pole Gin tool and no other equipment. Lighter weight means lower transportation costs and safer, faster assembly and installation, further reducing your costs. Unlike conventional wood poles that must be treated and re-treated with hazardous chemicals just to slow biodegradation, the Intelli-Pole® composite utility pole is constructed using electrical grade corrosion resistant (E-CR) fiberglass and specially-formulated no-VOC vinyl ester resin with integrated UV protection to provide a corrosion-free, rot-free solution that requires zero maintenance over a lifetime 2x-4x longer than other pole materials. 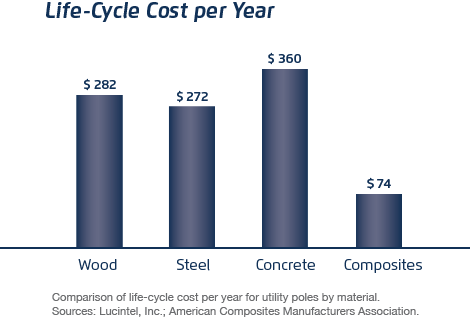 The design and materials of the Intelli-Pole® composite utility pole provide a life expectancy 2x-4x greater than conventional wood poles. 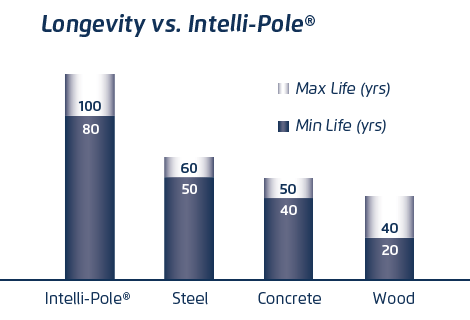 With its long life, zero maintenance requirements, and corrosion-free, rot-free construction, the Intelli-Pole® offers dramatic cost savings over its full life-cycle of 80-100 years when compared to wood poles, which would require two or more installations over the same period of time with conventional pole materials. The Intelli-Pole® composite utility pole is constructed from the greenest possible materials using no volatile organic compounds (VOCs) or hazardous air pollutants (HAPs) that can contaminate groundwater, soil, or ecosystems. Conventional wood poles must be treated and re-treated with hazardous preservatives just to slow biodegradation. 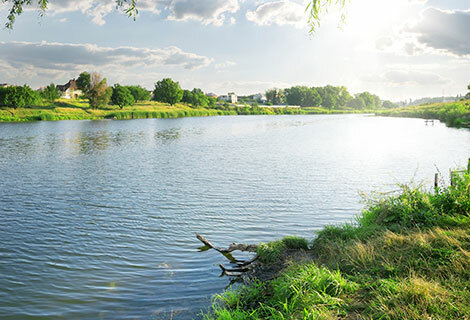 By contrast, the Intelli-Pole® is environmentally inert and non-toxic to humans, plants, and wildlife — providing an excellent solution for ecologically sensitive sites. 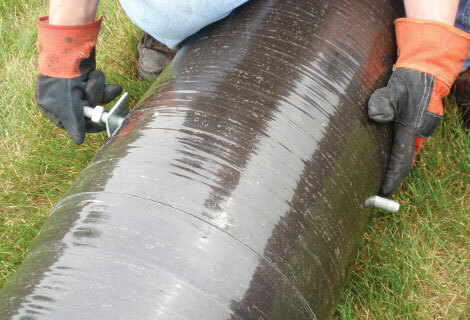 Our pole is also completely recyclable and safely disposable, lowering your disposal costs by eliminating remediation and concerns about hazardous waste.